When I make them they're a firm push fit to a light tap fit. Key stock is usually slightly oversize, you file or grind it to a good fit. That key/recess is waaaay too sloppy. I could do better with a chisel and angle grinder. How much play you ask. Zero in my opinion. That is disgraceful. What does the key do? Looking at the finish on the shaft I am guessing it's not very critical, if it is critical I would be chasing better surfacefinish on the shaft, based on your photo it looks pretty rough and not capable of holding anything true for long. It is a critical part as the shaft can be torqued in either direction and play against its opposing drive shaft will create problems as they need to rotate in unison, its a electric driven bead rolling machine. Thats the drive shaft that transfers into a stepped/offset gearbox to increase the depth capacity between the upper and lower shafts. Given that it's a new machine that already needs repair and the finish on both the turning and milling, would it be a fair guess that it's a fairly cheap piece of gear and you've simply got what you paid for? A lot depends on what the key is doing. Years ago I had to file off half of a camshaft pulley key to get the cam timing correct in a competition engine intending to get it corrected after the imminent race meeting. The engine had to run for 6+ hours at speeds of up to 10,000 RPM. Two years later it was still operating perfectly when I built a replacement engine. In this case the load was not on the key but on bolt pushing the pulley against a flange on the camshaft. It depends on what the key is doing. if you have a engineers black book it has fits for keyways to the Australian standards. I don't have mine in front of me but to size or slight interference is standard, never clearance. If you can mention what bead roller you bought and where from that will be useful information to potential buyers. What failed and why, what sort of repair was necessary? Based on the repair I am guessing SOUTH. I've just been on the blower with them they have agreed to send a new machine out, they're on back order expected approx end of May. 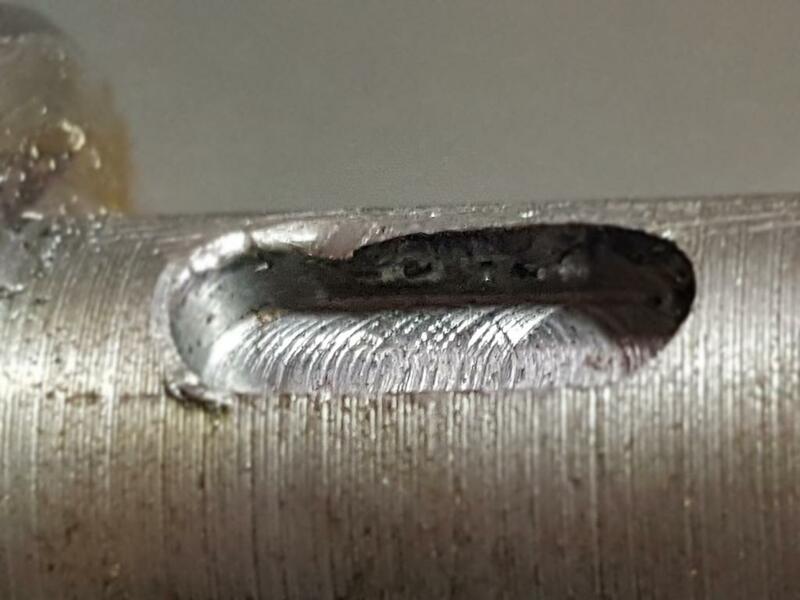 I asked them to look into the key sizing and placement on the shaft, Im thinking the key isn't full engaged into the drive cog and could be resolved by increasing the key and slot length to fully engage the cog... I just hope they get a proper fitter/turner machinist to look at it as they may have many more returns in future. It is a new machine line for them, possibly not from their regular manufacturers. How much water in compressor line is acceptable? Asking for someone to produce a piece of work - acceptable?